Winning is always better than losing, but these three losses could easily been three wins with a little tighter play. This entry was posted in Gothenburg Sharks on January 29, 2019 by Joel Earnest. 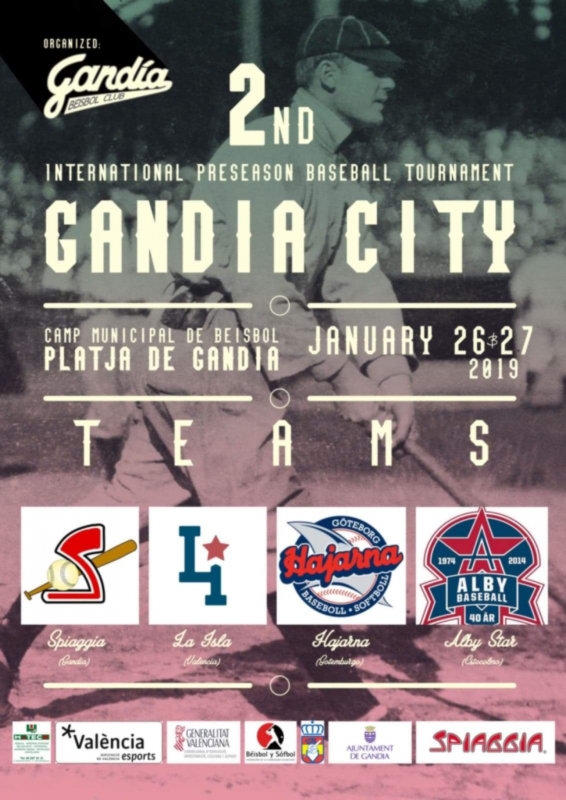 Players from Tranås and Gothenburg will be teaming up this weekend against Alby, Spiaggia and La Isla in this year’s Gandia City International Preseason Baseball Tournement in Gandia, Spain. “According to scouting reports, the teams are very evenly matched and we expect some exciting baseball,” says Sharks veteran Pappy Earnest. Look for tournament coverage with scores and photos Monday, January 28. This entry was posted in Gothenburg Sharks on January 23, 2019 by Joel Earnest. Clearly there was some tension between the teams, and the score was 1-1 after the first inning. The veterans showed patience when the nerves were still playing a big part in the third inning, and the oldies took a 4-1 lead. In the fourth, the lead was reduced to 4-3, and the Baby Sharks had a runner on third when the last out of the inning was made. 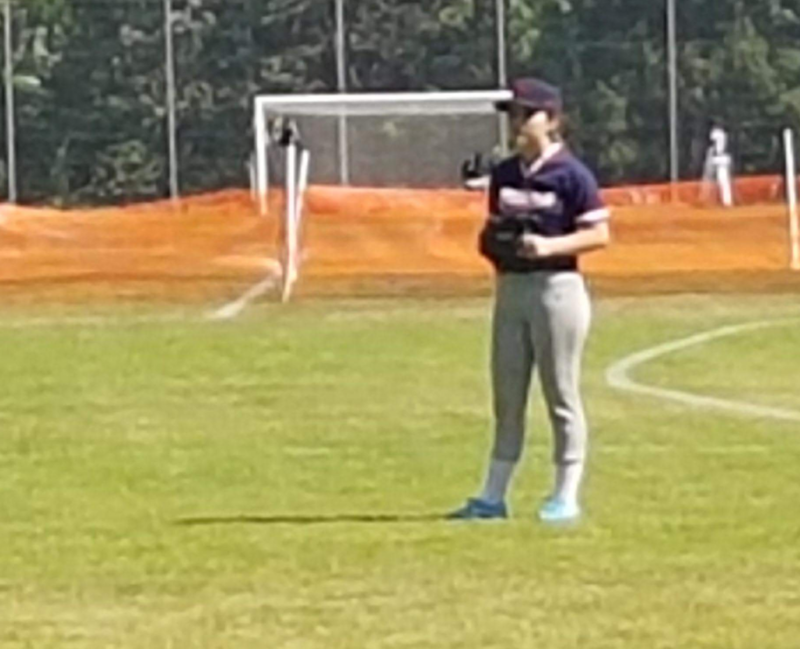 Signs of fatigue were clearly noted, both by sight and sound on the parental team, as the Baby Sharks shut out their parents in the fifth, only allowing four batters to go to the plate. 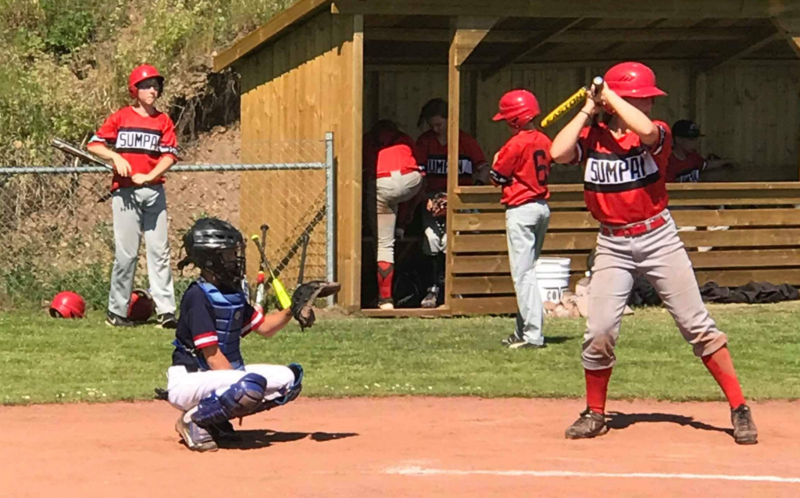 With one out and the bases loaded in the bottom of the inning, the Baby Sharks tied the game on a wild pitch, and the next batter ended the game with a walk off single, final score being 5-4. This entry was posted in Gothenburg Sharks on September 23, 2018 by Joel Earnest. 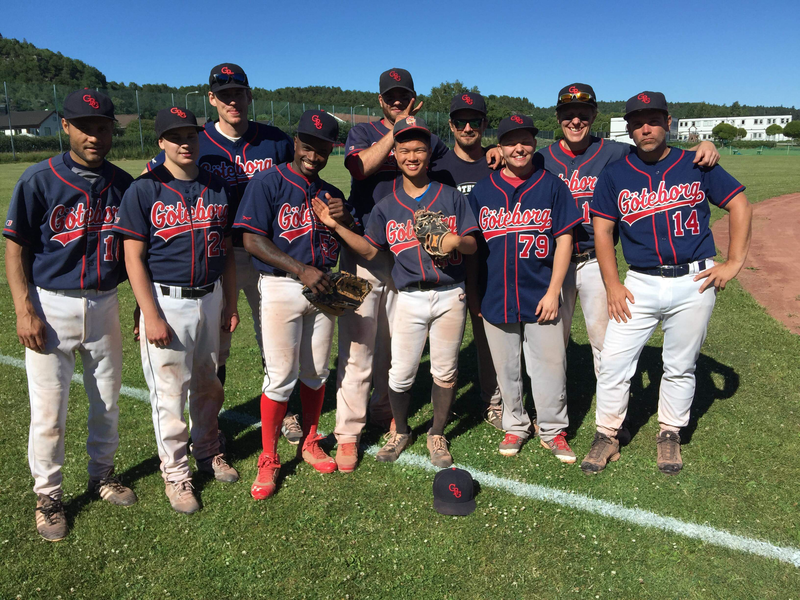 The Sharks closed out the regular season Sunday in Skövde with a 14-6 win and a 10-9 loss. The games reflected the season on the whole, with a mix of solid baseball and not-so-solid play, but still exciting to the end with Skövde coming out on top in a seesaw, extra-inning battle in game 2. 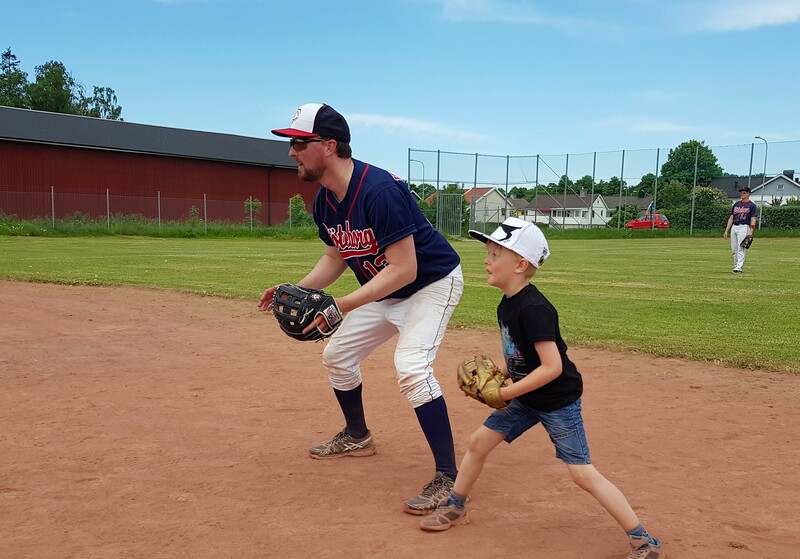 With both Alby and Tranås declining spots in the playoffs beginning next weekend in distant Umeå, it was enough with a split of the doubleheader to earn a playoff spot. But with the Sharks unable to put together a full team for the journey to Umeå, Gothenburg will also be staying home this year, leaving the field open to Skellefteå, Enskede and Umeå in the first round of the 2018 playoffs. Gothenburg will be looking into wrapping up the season with a couple of SWBL games September 15-16, if Malmö and Tranås are interested. This entry was posted in Gothenburg Sharks on September 5, 2018 by Joel Earnest. Last Sunday, the Sharks were pretty much assured of a first-round playoff spot, but two days later, this was no longer the case. 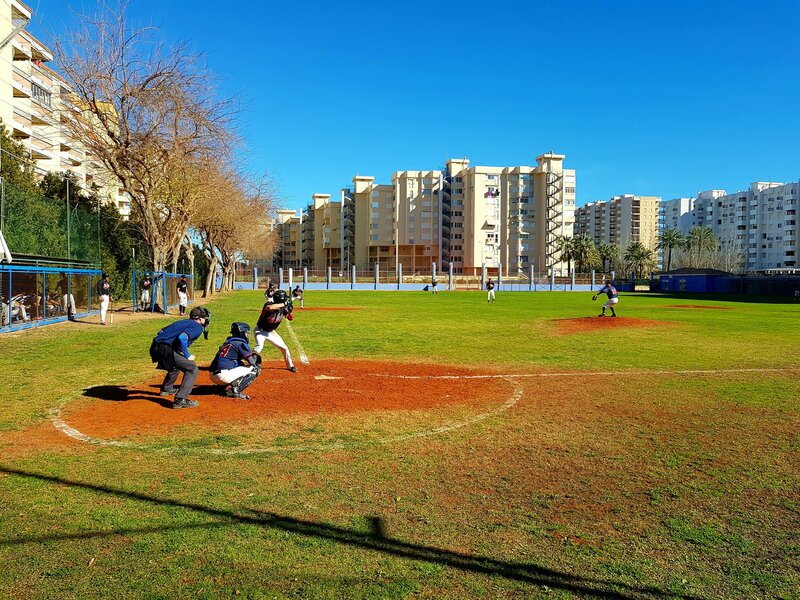 After the Malmö Pilots were forced to forfeit their last two games of the season due to a temporary shortage of players, a special rule in the Swedish Baseball and Softball Federation’s regulations came into play, stipulating elimination of a team that is unable to play its final two games. The Pilots disappeared from the standings, along with the Sharks’ four wins against them. And without those wins the Sharks suddenly had a losing record. A return to the playoffs seemed unlikely. But with Alby’s two surprising wins over Tranås today, the Sharks are back in contention. And if they can take two from a young and hungry Skövde squad next weekend, the team can pack their bags for a trip to Umeå and the first round of the 2018 regional playoffs. This entry was posted in Gothenburg Sharks on August 26, 2018 by Joel Earnest. 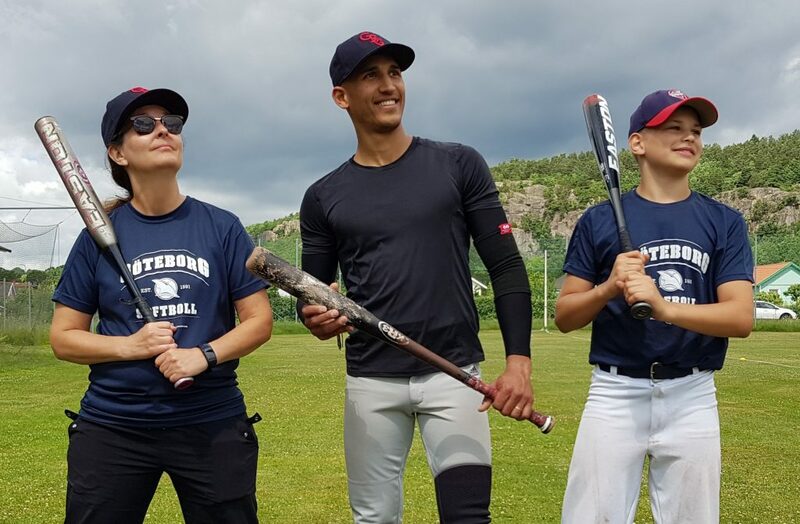 From Jose Munoz being named player of the month for the Swedish regional league to the club’s annual home run derby, a lot has happened this week. 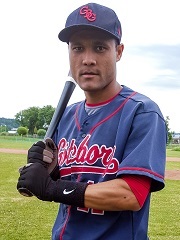 Jose Munoz is one of the very best players in Swedish baseball. Week after week, the Sharks’ Nicaraguan shortstop is out there providing solid hitting and highlight-reel fielding for the team. Congratulations Jose on winning the player of the month award for May! We have three new home run champs this year with Gillan André, Tina Atkins and Molkhlad “Momo” al-Ghanimi taking top honors in their respective categories. Momo has been eyeing that short and high home run fence (Gothenburg’s version of Boston’s Green Monster) at Shark Park since he first picked up a bat for the Sharks. Wednesday, the former Iraqi national team star pitcher finally hit one out, winning the men’s baseball category in spectacular fashion. The Sharks were robbed of a split against a strong Karlskoga team last Sunday, reinforced with imports from the US and borrowed players from Sölvesborg. They were obviously taking no chances after being swept the last time they faced the Sharks. This entry was posted in Gothenburg Sharks on June 8, 2018 by Joel Earnest. Billingslaget saw a young Hajarna team take the field for the first time in… well, we’re not sure but, ever before? 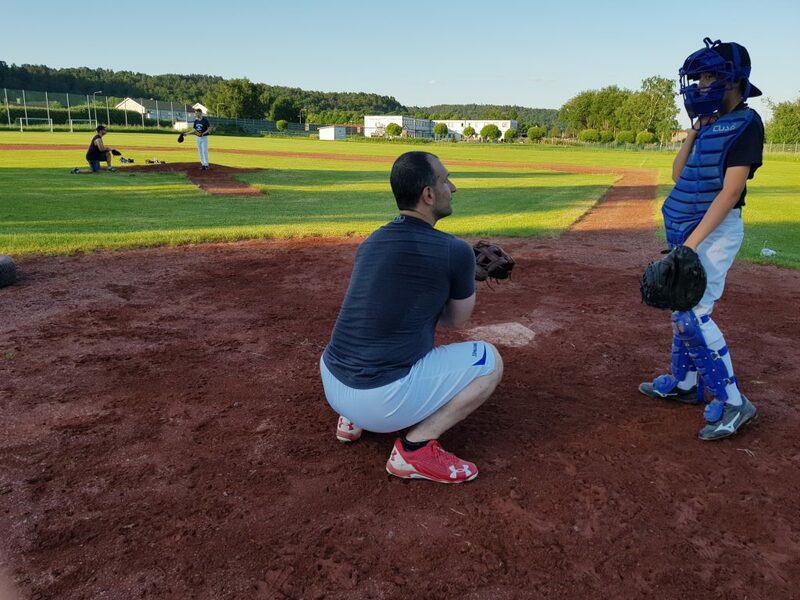 Due to some late injuries, Hajarna was short in the head count to make a complete team, but went to Skövde to develop, play baseball and have a great time. 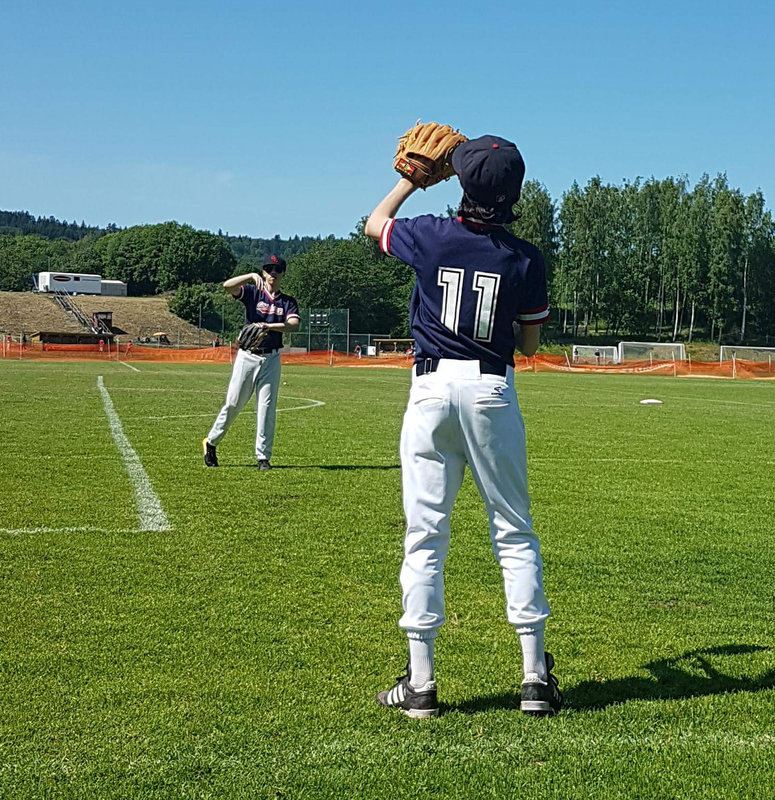 The five young Sharks representing the club as play began Saturday were Leo Sandgren, Carl Adkins, Gabriel Wargswärd, Gillan André and Heloisa Castro on the first day with temperatures of close to 30 degrees Celsius at the time of the first pitch, at 10:30 in the morning. 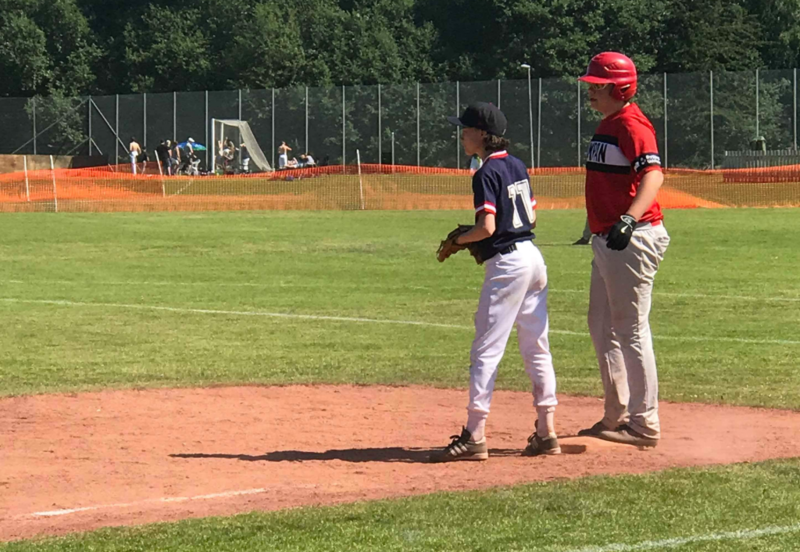 But before that, there was more heat to come, as the team of Sundbyberg Heat showed up, lending players to the Sharks so that Hajarna could play with a complete team on the field throughout the tournament. On Sunday, there was a slight breeze, but the temperature was still well in the thirties, and that little breeze very rarely reached the field. 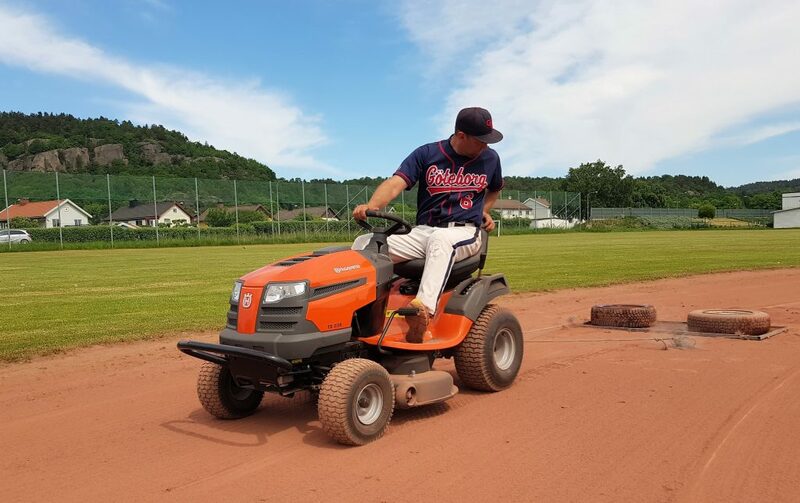 Daniel Diaz was added to the Hajarna roster on Sunday, and it was great to play with a complete infield as a team, while Sundbyberg now only had to add outfielders. Göteborg Hajarna played the Skövde Saints, Sölvesborg Firehawks, Nyköping Knights, and Sundbyberg Heat over the week, and ended up with a record of 1-3. ”We executed well, learned a lot and the baseball world just got a glimpse of some hungry sharks waiting to attack,” were the final words from Kronqvist before walking off into the blazing sunset, humming the theme from ”Jaws”. This entry was posted in Gothenburg Sharks on June 4, 2018 by Joel Earnest. 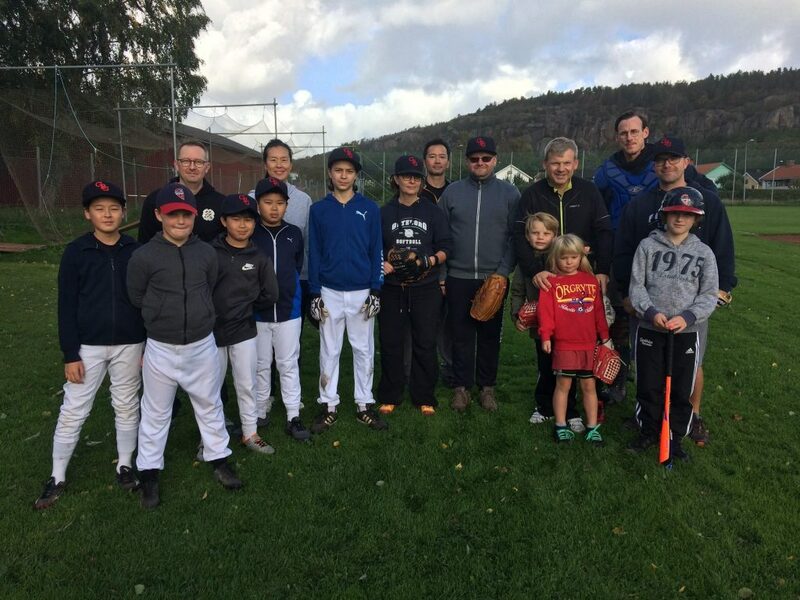 For the first time in recent memory, the Sharks will be sending a full team to Billingslaget, the annual two-day youth tournament sponsored by the Skövde Saints. 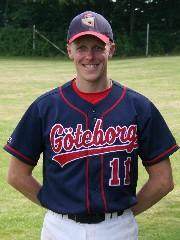 Always a popular event, Billingslaget is where many of the top players in Swedish baseball played their first games. This year, the young Sharks will be competing with players from the clubs in Skövde, Karlskoga, Sölvesborg, Malmö and Nyköping. This entry was posted in Gothenburg Sharks on May 30, 2018 by Joel Earnest. Sharks past, present and future battled Saturday in the summer heat, with the youngest generation filling in as needed for the short-handed Sharks and White Sharks. It was a close, well-played game, but in the end, it was the Sharks of today that came out on top, 10-8, with a big assist from an outfield provided by the White Sharks. The Sharks made two major acquisitions this past week. Most important was the signing of former Shark Alexander Larsson after a six-year absence. “It’s great to be back,” said Larsson with a smile as wide as today’s strike zone. And speaking of smiles, the other acquisition is sure to make the grounds-keeping crew happy–the Sharks have bought a tractor! And no one could be prouder than head groundskeeper Tractor Jonny Edgren, show below dragging the infield. This entry was posted in Gothenburg Sharks on May 26, 2018 by Joel Earnest. Hearing that the Sharks were just a hit away from winning last year’s Swedish regional championship, the player from the Copenhagen seemed a bit surprised. And that’s easy to understand. Because for nearly every nice play made by the Sharks, there was a bad one to match. 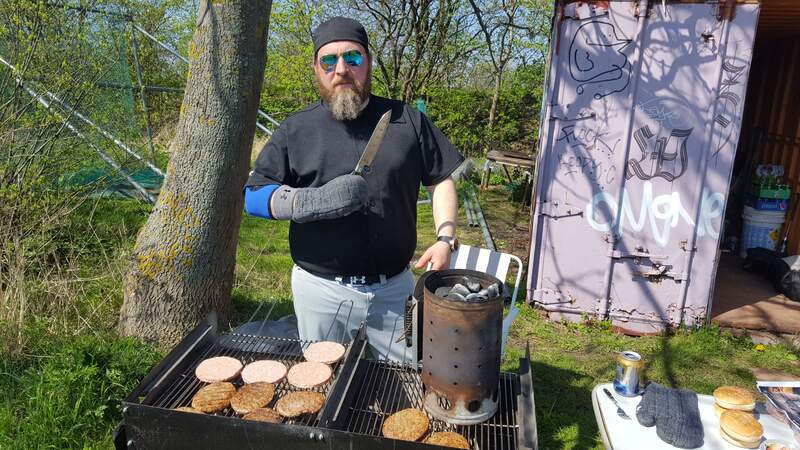 Even so, there was plenty to smile about in Sunday’s spring training opener against the Malmö Pilots and the Copenhagen Urban Achievers. Caleb Chu, 16, standout veteran of the Taiwanese leagues, breaks for second in a successful steal against the Pilots. The stars were aligned and the gods of baseball were smiling down on Limnhamnsfältet Sunday. With the mercury at seventeen degrees , blue skies and free burgers courtesy of the home team, it would take more than an occasional error, watching a called third strike go by or wildness on the mound to dampen spirits. 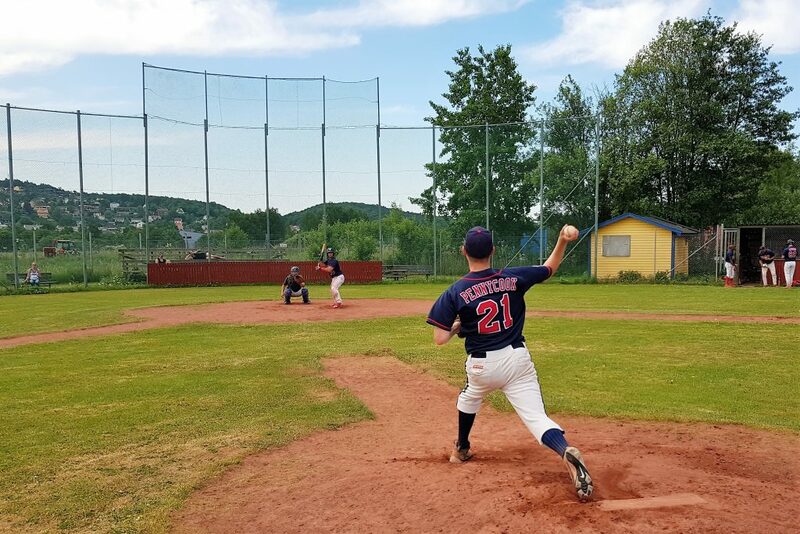 This was the first time Erik Earnest and Joel Earnest had played together since combining with the legendary Jason Norderum in throwing a no-hitter against Sundbyberg back in 2015. Sweden’s stringent border checks, established to protect its citizens from the forces of evil had an unexpected effect Sunday, with several of Copenhagen’s top players being turned away while trying to cross the bridge between Denmark and Sweden due to insufficient travel documents. This entry was posted in Gothenburg Sharks on April 30, 2018 by Joel Earnest. Catcher Toofan Khazal laid hands on the Golden Glove award for 2018. His outstanding defence rated as one of the best catchers in the league, got him the title. First baseman Niclas Ekström was just behind him in the race.